Are you searching for motels in Inverell New South Wales? Well you have made the right decision, because we are in one of the most beautiful areas of the country and we have some of the best things to do! 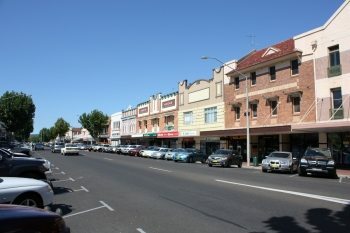 As a small country town with a big reputation for history and heritage, you won’t be short of interesting ways to spend your holiday in Inverell and best of all, we have a range of accommodation to suit all tastes and budgets. Let’s take a quick look at some of our attractions, all of which are just a short distance from your accommodation in Inverell, NSW. Arts & Culture: We have plenty of art gallery exhibitions that change regularly, so there is always something new to see when you visit Inverell. Our Meandering Macintyre footpath mosaic is always a big hit, and we have festivals and events dotted throughout the year. Fossicking: We are famous for our sapphires, quartz and crystals and you can spend an hour or two fossicking for your very own gems to take home with you! This is one of most popular pastimes in Inverell and there are plenty of sites that are just a short drive from all the motels in Inverell New South Wales. Boutique Shopping: No holiday is complete without a few hours spent investigating the local boutiques and stores and Inverell is no exception. We have a wide range of shopping experiences, from handcrafted items to giftware, designer clothes, locally sourced sapphires and much more. All within easy access of your Inverell accommodation. History & Heritage: We are proud of our heritage in Inverell and we have many interesting attractions for history buffs. Spend a day wandering around our museums, monuments, architecture, art exhibitions and restored villages, all within a short distance of your accommodation in Inverell, NSW. Sport & Adventure: If you love the outdoors then Inverell is going to be heaven for you. We have numerous hiking and walking tracks through the countryside, beautiful views over the lakes with lovely BBQ spots, then there is fishing, boating and skiing, as well as adventure tours and lots more! Just ask the staff at your Inverell accommodation for directions. Food & Wine: We have everything foodies need for a wonderful stay in Inverell, from our mouth-watering bakeries and cafes to wonderful restaurants and takeaways, offering every sort of food your heart desires. There are even a few popular wineries in the area which are definitely worth the short drive. For the best accommodation in Inverell, NSW, call us on 02 6722 2077 or send us an email. Thinking of upgrading your Inverell accommodation to buying property?